Jewish Federation of South Palm Beach County: Irving Eckhardt Mitzvah Society Reception to Honor Jeffrey A. Baskies, Esq. Local estate planning professionals committed to the Jewish community’s future will celebrate their 2019 Honoree, Jeffrey A. Baskies, Esq., at the annual Irving Eckhardt Mitzvah Society Cocktail Reception on February 4, 2019. The Professional Advisory Committee (PAC) of the Jacobson Jewish Community Foundation of the Jewish Federation of South Palm Beach County, and the evening’s co-chairs, Tom Katz Esq., and Jerry Wolf, Esq., invite colleagues, friends and others to honor Baskies at the Wyndham Hotel Grand Ballroom in Boca Raton at 5:30 pm for cocktails and dinner (dietary laws observed). Over the past 15 years, the Mitzvah Society has inaugurated 76 professionals who, like Baskies, have guided their clients to establish charitable legacies through the JJCF. They comprise 78% of our Professional Advisory Committee. A founding partner with Katz Baskies & Wolf PLLC, Baskies, an honors graduate of Harvard Law School, is a Board Certified Expert in Wills, Trusts and Estates by the Florida bar. He serves on the Executive Council of the RPPTL Section and is Co-Editor-in-Chief of its magazine, ActionLine. 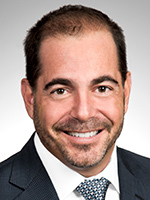 Baskies has been listed as a top attorney in Best Lawyers in America© (10+ years including South Florida Trusts & Estates “Lawyer of the Year”), Super Lawyers (Florida’s “Top 100” Super Lawyers for 10 consecutive years), and Florida Trend magazine (member of its “Legal Elite Hall of Fame”). He has authored over 125 articles for the Florida Bar and other publications, and is the successor author of the West/Reuters Treatise, Estate, Gift Trust and Fiduciary Tax Returns: Planning and Preparation. Greenspoon is the generous sponsor of the JJCF. The evening’s sponsors include CBIZ; Gerson, Preston, Klein, Lips, Eisenberg and Gelber P.A. ; Lesser, Lesser, Landy & Smith; Kaplan, Krauss and Levine LLC; MBAF; JP Morgan; Proskauer; Rehmann; Seigel Estate & Trust Litigation; and Steinberg Global; In-Kind Sponsor Southern Glazer’s Wine & Spirits; and Exclusive Magazine Sponsor The Boca Raton Observer.